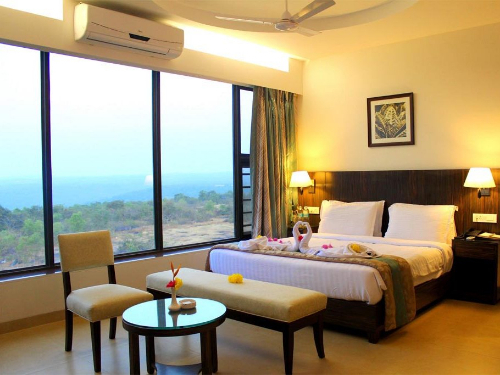 The luxury resort is nestled on a hill offering guests a bird's eye-view of the Arabian Sea and unexplored beach coves. 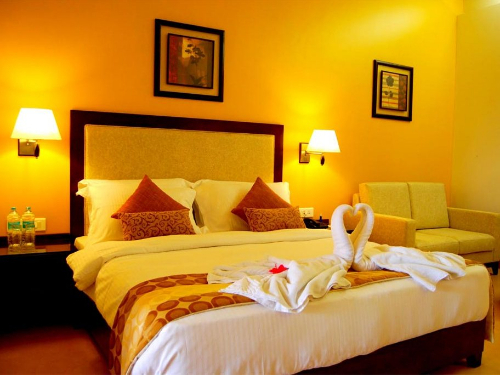 With 70 of the largest rooms and suites in Ganpatipule. 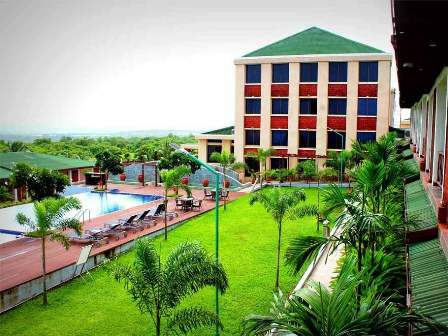 With modern amenities and facilities for a comfortable visit, The Fern Courtyard Resort, Ganpatipule offers a memorable resort experience. 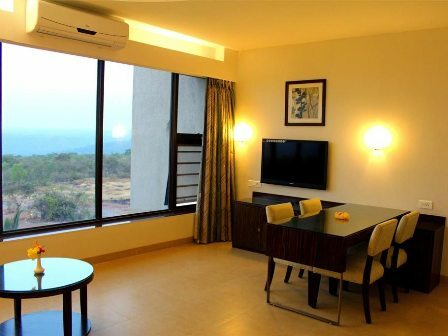 For recreation, make the most of the infinity pool, Jacuzzi, gymnasium, children's play area, tennis court, joggers track, expansive gardens and excursion facilities. Enjoy classic Indian and global cuisines at our three restaurants and bars. 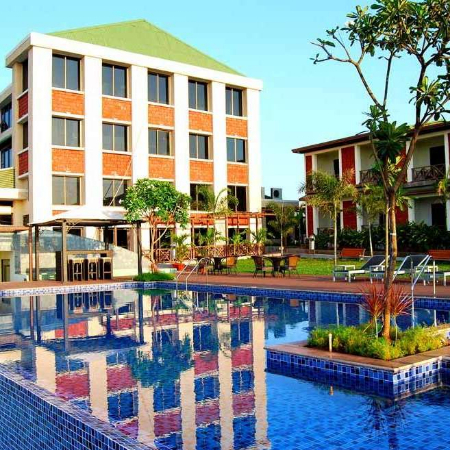 We can host the best weddings and events in Ganpatipule for over 300 guests with our full-service banquet facilities at our three indoor halls and two poolside lawns. 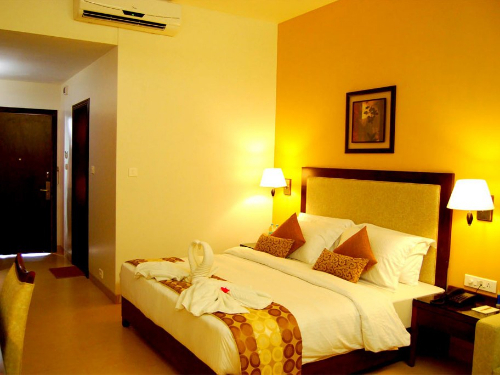 Call Us for the best deals and offers on Fern Courtyard Ganpatipule. Prices shown below are maximum rates for the particular room type. Enjoy upto 30% off according to season. Call Ganpatipule Locality Specialist to know more. 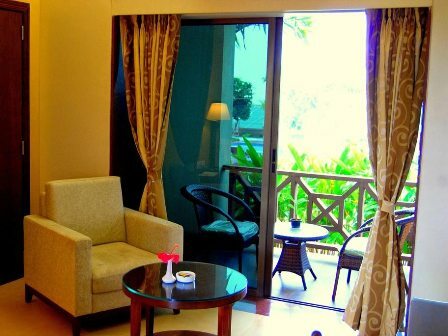 offer a spacious 780 sq. ft. of living space with King Sized bed. 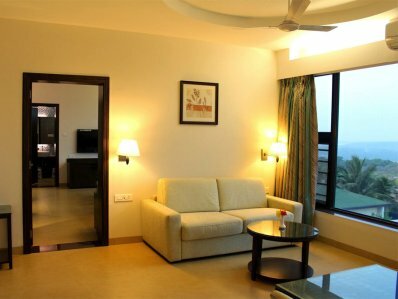 The suites are equipped with modern amenities to make every guests stay comfortable. 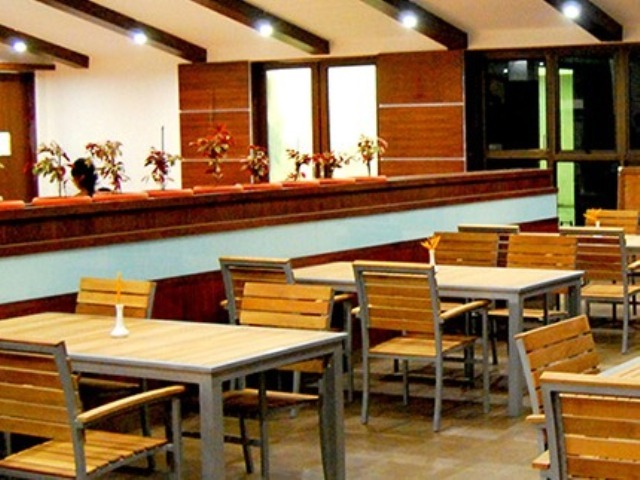 Konkan Spice – Konkan Spice is a fine-dining, multi-cuisine restaurant. The restaurant serves Indian, Tandoori and Oriental cuisine. 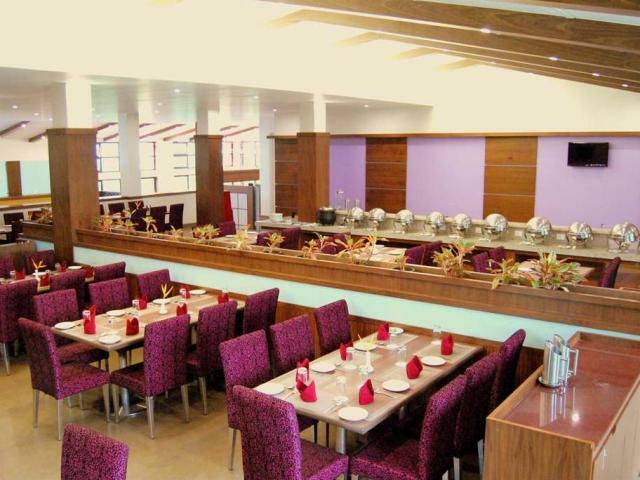 Zaika – just besides the lobby is the venue for the largest buffet breakfast, lunch and dinner. Whispering Palms – The beautiful garden restaurant is open every evening to enjoy a dinner with the breeze of the sea and whispering of the palms. 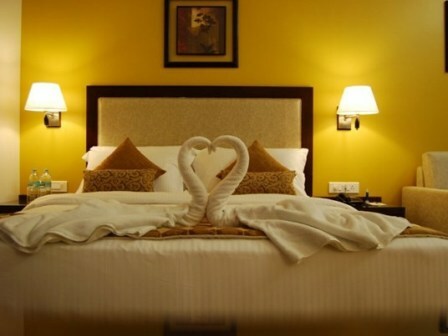 No refund will be entertained after check in or on the date of the booking given any circumstances.